The Trafico Dining Chair makes a sleek, modern, and welcomed addition to any dining room. 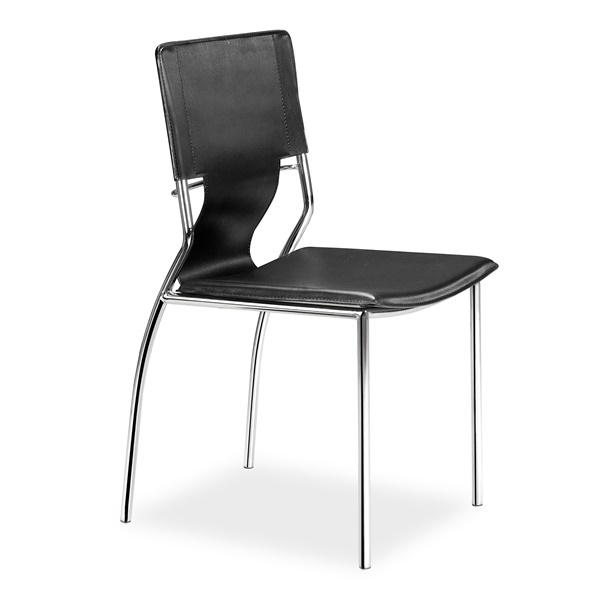 This modern dining chair features a leatherette seat and back with chrome steel tube legs. The Trafico Dining Chair instantly updates any space, while offering a comfortable seat from which to enjoy a meal.